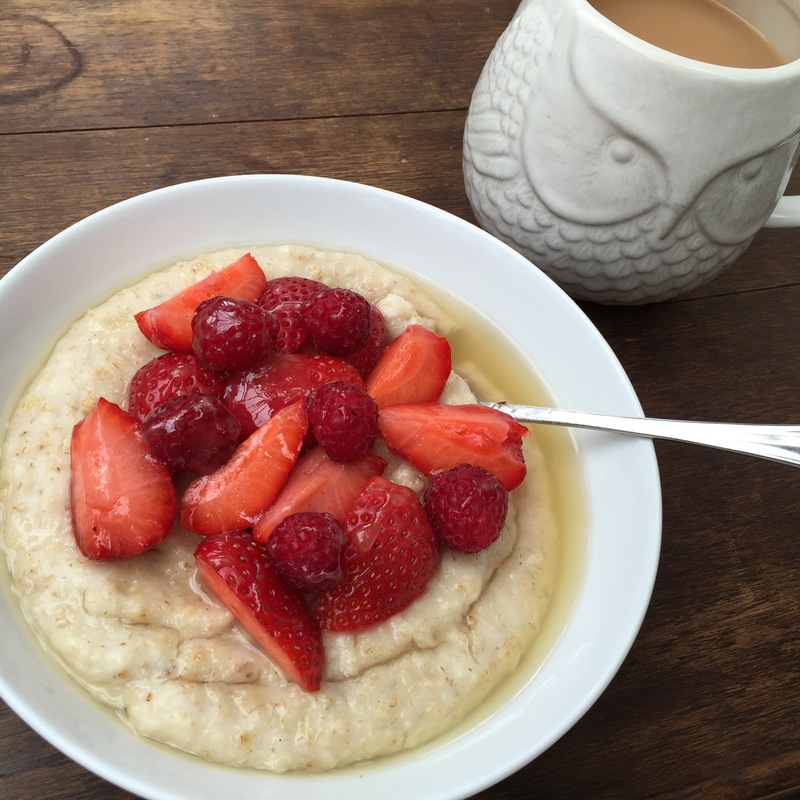 Breakfast was this very cheerful bowl of porridge! Fresh berries from the garden and honey from the bees set it off nicely. I used water with a splash of milk to make it and I actually think I preferred the flavour to that of porridge made with all milk! Lunch actually caused me some issues. I was going out walking and needed something I could pack up and eat on the go. 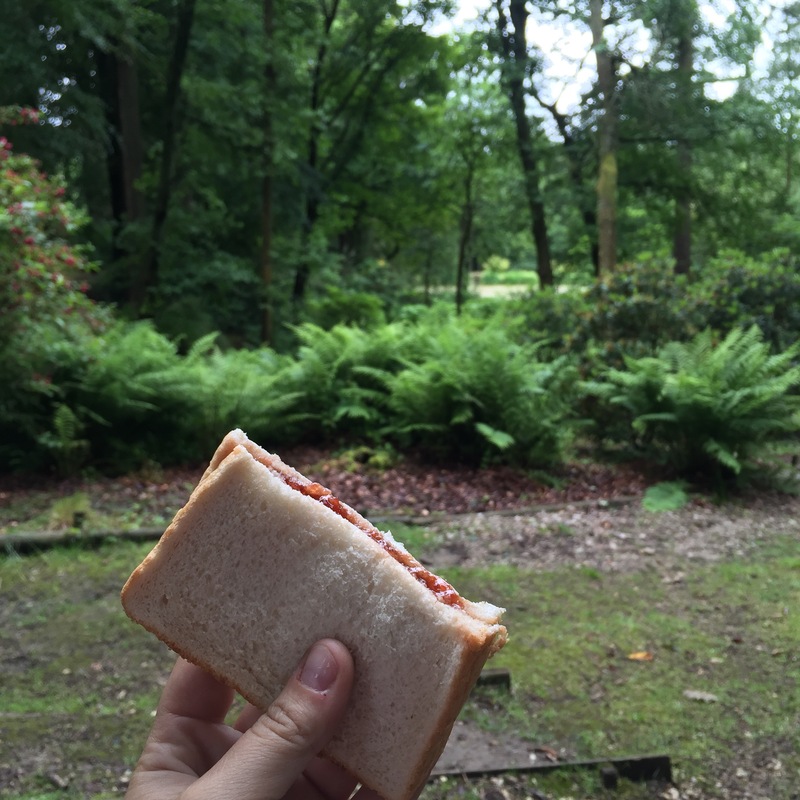 My usual sandwich preferences would be ham (I’m saving that ration!) or cheese, (which would probably have used the whole ration in one go!). Chicken would have been ok but I didn’t have any cooked. I looked at a few other options but without detouring to do a shop I had one: Jam Sandwiches! So it was a nostalgic picnic lunch of jam sandwiches and elderflower cordial in the delightful surrounds of Parceval Hall. I was quite excited about dinner. Chicken Stew and Herb Dumplings. I hadn’t ever cooked dumplings before so I was keen to try something new. They’re rather pleasing to watch as they cook. 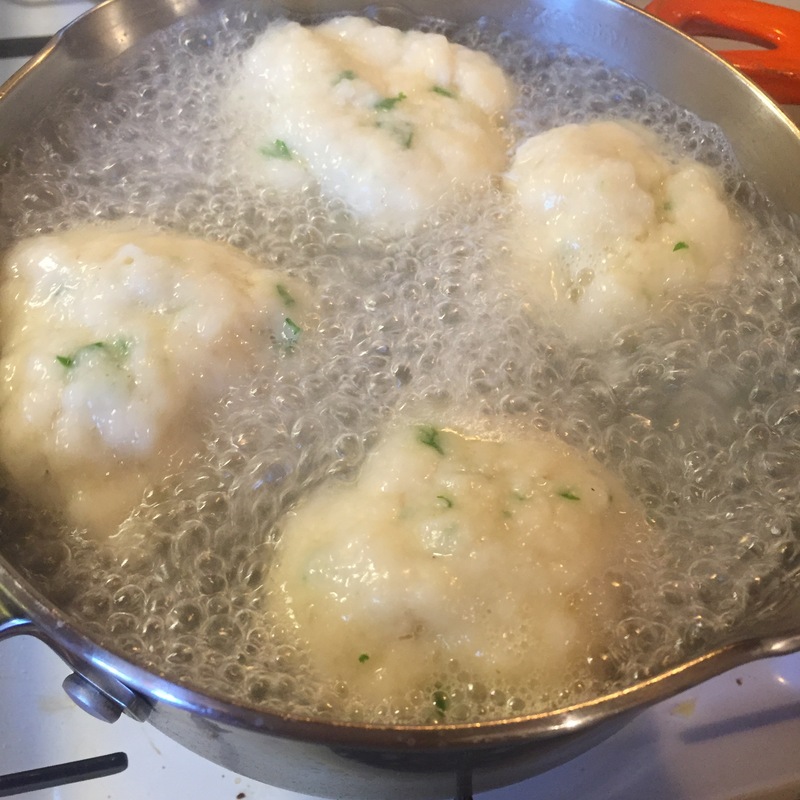 Dumplings: 4oz self raising flour, 1 oz lard, large pinch salt, chopped parsley, a few tbsp cold water: rub the lard into the flour, salt and parsley, add water gradually, mixing by hand until a soft rollable consistency is reached. Shape into 4 balls, place in a pan of boiling salted water, boil vigorously for 10 minutes, then turn down and simmer for a further 10. 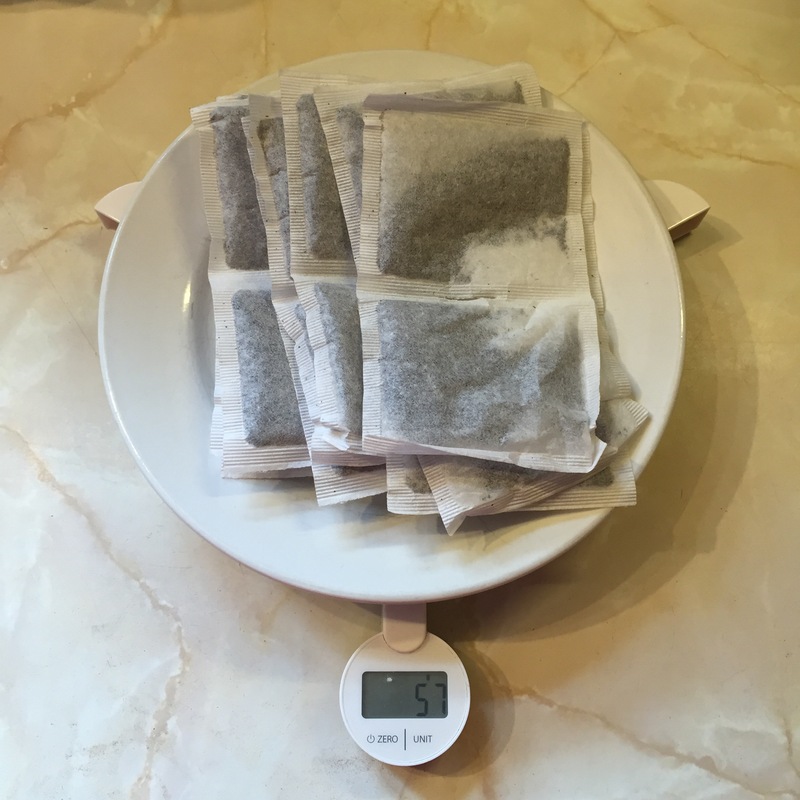 You can also place them directly on top of a stew in the oven to cook for a more crispy, browned dumpling. The stew was as basic as they come: 1 chicken breast, 1 small carrot, 1/2 stick celery, 1/3 of a leek, 1 medium potato, all chopped up and a couple of radishes I had from the garden. Put everything in a heavy saucepan with a lid and fry (with only the tiniest sliver of lard) Pour in water just to cover everything, add a good amount of salt and pepper and simmer for 30 minutes. Take 2 tsp cornflour and mix with a little water, add to the stew and stir until thickened. I served this with broccoli and cauliflower too. It was extremely tasty! You didn’t notice the lack of fat at all, and the flavour base of the vegetables and the chicken browning first meant you didn’t need stock either. All in all an extremely frugal dish that filled me right up! 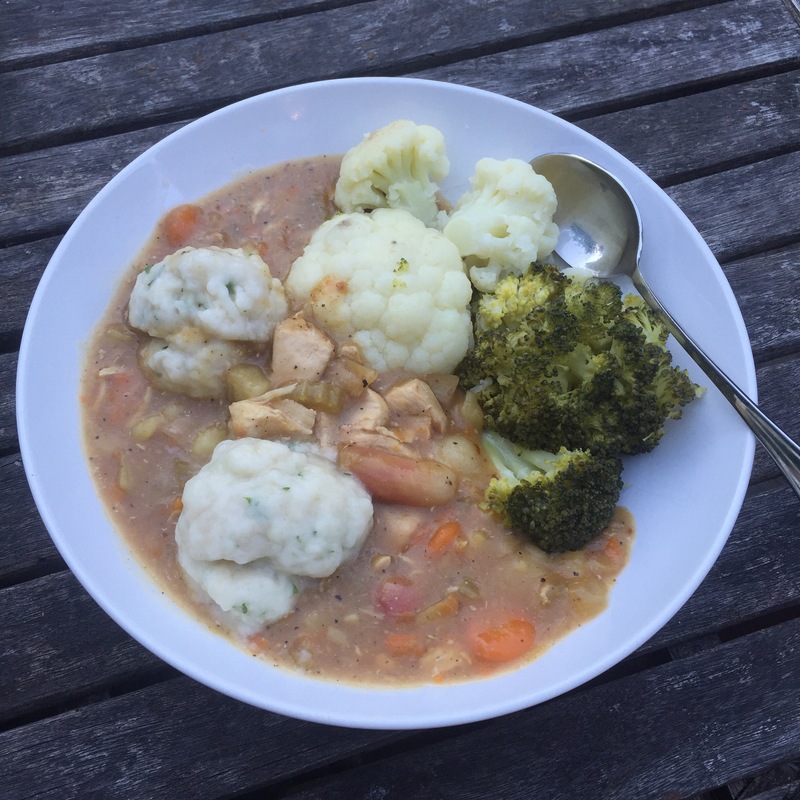 We used to eat things like this when we were kids, stew and dumplings in the slow cooker used to feature regularly for us kids but it’s been years since I had dumplings! They’ll definitely be making a come back in my kitchen and this stew served as a nice reminder that things don’t have to be complicated to taste great! I have to say your day looks delicious!